is a continuation of an earlier series of red woods paintings done by the artist and is an effort to map the progression of his style through the re presenting of this same location. You will see the evolution of the artists brush work through various aspects of the painting y looking at the earlier forest and trees page of robertmcaffee.com. 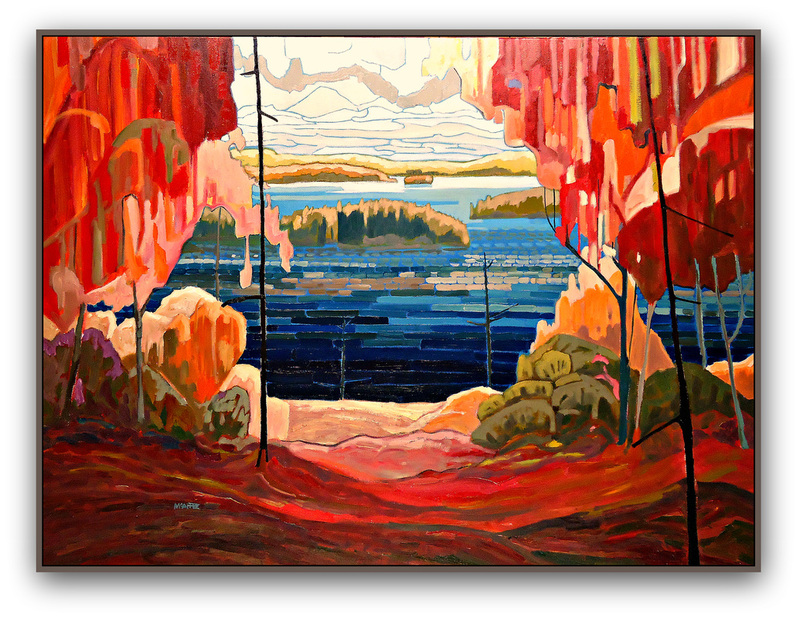 All based on his travels through both Canoe Lake and Tea Lake in Algonquin Park over 2009 to 2011.